The problem with ranking the most powerful characters in the history of comic books is that writers always want to top the top dog and add a more powerful character. Many of the characters on this list (and even some that aren't) have been called "the most powerful being in the galaxy." Though new and more powerful characters are sure to be written in the future, as of writing, this list represents a ranking of the most powerful comic book characters ever. From the strongest DC characters to the mightiest of Marvel characters, this list has them all. These beings possess more than mere physical strength. Instead, they wield the broader ability to make, destroy or influence worlds. Many of them achieve their goals without lifting a finger and have never needed a weapon. Others excel at long-term planning or finding and wielding the strongest weapons. No matter how they achieved their power, each of them has earned a place on the list of the comic kingdom's most powerful players. Have a favorite character? Vote them up! The One-Above-All is the creator of everything in the Marvel omniverse. He represents all of the creators (or the efforts of all the creators) who have contributed to the Marvel legacy. In his rare appearances, he's been drawn with an appearance similar to that of legendary artist Jack Kirby. The Living Tribunal is Marvel's cosmic arbiter and subservient only to The One-Above-All. He is responsible for judging realities and enforcing justice throughout the Marvel multiverse. Though he doesn't appear very often he is feared and revered enough that he doesn't even care if his three-faced head is connected to his body. 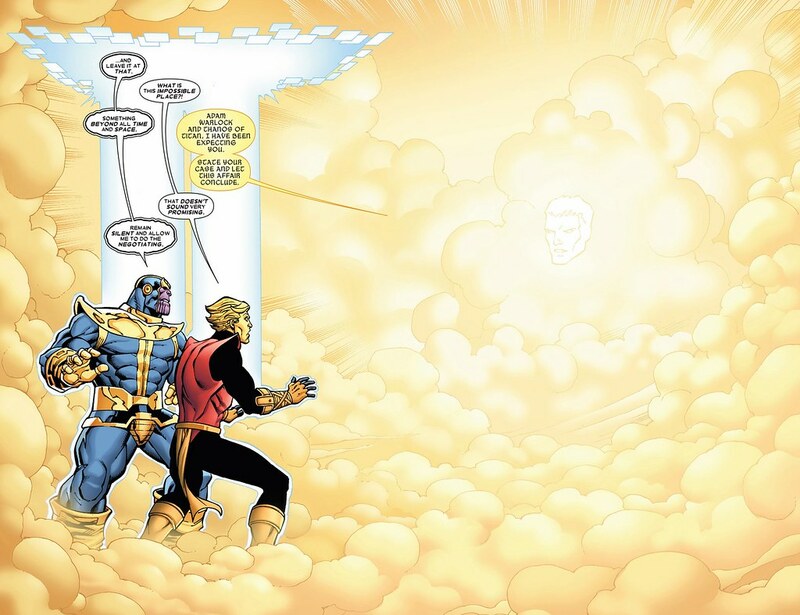 Eternity is Marvel's personification of time. In his absence, nothing can happen. He controls the consciousness of all living things, but is subservient to The Living Tribunal and dependent on Galactus. It's fair to think of Galactus as the most powerful character in the Marvel Universe who actually does stuff. While most of the ethereal entities ranked above him remain behind the scenes, Galactus gets around the galaxy on his chair-shaped spaceship that helps him eat planets. That's right, he eats planets.